Looking for a Better Fuel Delivery Company? We haul hundreds of millions of gallons of fuel annually to fuel distributors all over the Midwest. Our trucks are domiciled at the following 4 locations: Trenton, Marshall, Benton Harbor and Muskegon. Let us bid on delivery to you. We employ one Safety Director that ensures our teams comply with strict adherence to state and federal guidelines. They also participate in ongoing training in all aspects of loading, unloading, safety, and spill containment. 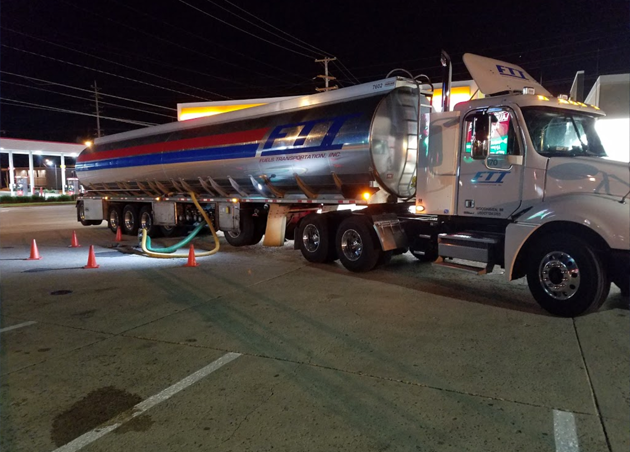 Every employee is focused on providing superior customer service, reliability, and commitment to ensuring safe delivery of Gasoline, Diesel, E85, and trans-mix on-time and at the very best negotiated pricing. We carefully and accurately monitor your fuel levels and help you maintain a manageable inventory via our state-of-the-art management program. Our fleet consists of 9,000 and 13,000-gallon trailers equipped with the latest safety features. Our courteous and professional drivers average 20 years of experience.